Home » Frequently Asked Questions » Why Hire a Lawyer for Your Workers’ Compensation Claim? Why Hire a Lawyer for Your Workers’ Compensation Claim? 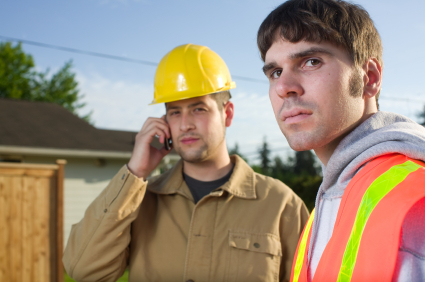 It’s a reasonable question, and there are several reasons why I suggest any person who was injured while working in Georgia hire an attorney to handle his or her claim. First, workers’ compensation is an extremely adversarial system, perhaps second only to contested divorce in terms of the fighting that goes on between insurance companies and injured workers. The insurance companies who cover employees in Georgia (and in other states) view you as a problem to be solved once you get hurt. Every weekly benefit check they issue and every doctor bill they pay represents dollars that come out of their bottom-line profit. Insurance companies are in the risk management business. They have a duty to their shareholders to pay out as little as they can and close cases as fast as they can. Your best interest is not a factor. In fact, employers and insurers spend a lot of money to minimize their obligations. Rising costs can primarily be attributed to an increased use of medical benefits and duration of disability. The longer employees remain out of work, the more wage replacement and medical services are required. To manage this costly trend, companies must take a more aggressive approach to managing workers’ compensation procedures. In real life, this means that your employer and its insurer will use every technique, tactic and strategy to minimize what they have to pay you. My job, as a client’s lawyer and advocate, is to push back hard to force the insurance company to pay for appropriate care and to pay the injured worker — my client — wage benefits that will last long enough so that he or she can truly recover. One of the biggest battlegrounds in Georgia workers’ compensation claims arises from medical care. The insurance company will often try to refer you to a physician whose entire practice concerns workers’ comp. injuries (hint: if you see the words “industrial clinic” proceed with extreme caution). My job is to critically evaluate which doctors are treating you and to use the legal tools available to us to get you to a qualified doctor who has your interests at heart and who is free of bias. 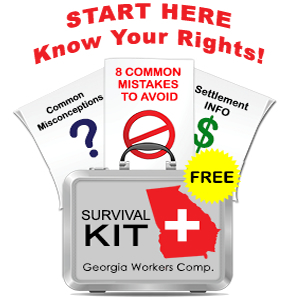 Another battleground in Georgia workers’ compensation law has to do with case settlement. In theory, settlement should be a small part of the workers’ compensation experience: after you get hurt, you get treatment, take some time off while you are recovering, then return to work. In reality, however, it does not work this way. If you experience a significant injury (such as a herniated disc, carpel tunnel surgery, or a closed head injury), your employer will not want you to return. Why? Because statistically once a worker is injured, he is more likely to experience a second injury. There is always someone younger and healthier (and probably more willing to accept a lower wage) to take your place. How much is your case worth? When is the right time to settle? What is a Medicare set-aside and how can it be negotiated? How are you going to support yourself if you accept a settlement? These are truly important questions and you need and deserve professional legal guidance. That’s where lawyers like me come in to play. While I can’t promise to solve all of the problems associated with your on-the-job injury, you can be certain that I will be looking out for what benefits you the most. Even insurance annuity payments to guarantee my client lifetime income. Depending on the facts of your case, we can get very creative to leave you with the opportunity to live comfortably and with dignity for months or years after your case is over. Because of these factors — the adversarial nature of workers’ compensation proceedings, the complexity of the law, and the need for someone to advocate for you while you recover from your injury — it’s wise to consult with a competent Georgia attorney who has specific experience with workers’ compensation proceedings as soon as possible. If you’re ready to speak with me about your case, you can use the contact form to the right, or you can call me directly at 770-351-0801.